Liz Bauer advocates for the human and legal rights of people with disabilities in Michigan, nationally, and internationally. 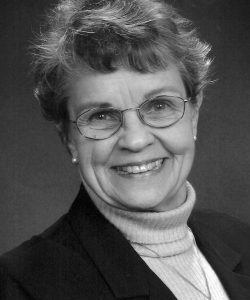 Throughout her professional life Bauer has consulted in the United States and internationally on development of public policy, services, human rights, and support for people with disabilities. She has testified before Congress and the Michigan Legislature and assisted in the development of legislation and public policy related to people with disabilities. Liz earned a Bachelor of Arts degree from Mount Holyoke College and a Master of Arts degree in Education of Exceptional Children from The Ohio State University. She also did graduate work in Speech Pathology at the University of Minnesota and completed extensive post-graduate work in Education Administration at Wayne State University and Michigan State University. She was inducted into the Michigan Women’s Hall of Fame in 2013, and was awarded the Elizabeth Topham Kennan Award in 2014 by the Alumnae Association of Mount Holyoke College. Liz is a member of the Board of Directors of MORC, Inc and is Treasurer of the Futures Foundation, which raises money and funds unique needs of persons with disabilities in Michigan. She is a former member of the Michigan State Board of Education. Liz also served on the advisory board of Mental Disability Rights International from 1994 to 1998 and served as the Secretary of the Board of Directors of Disability Rights International from 1998 to 2010.